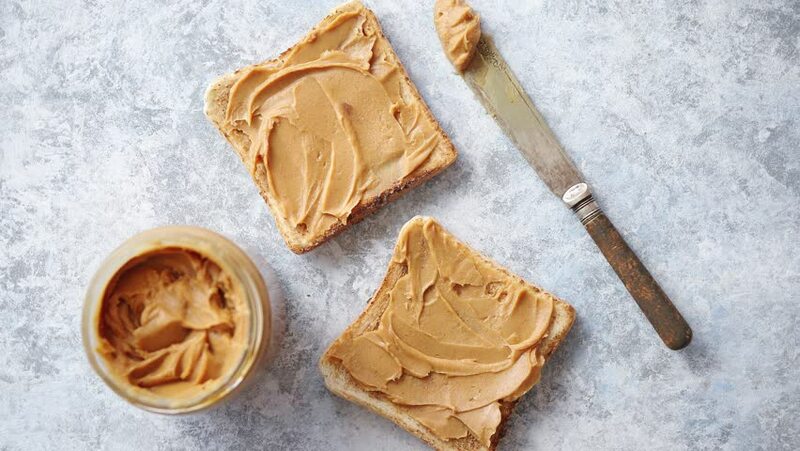 Two tasty peanut butter toasts placed on stone table with big jar. Knife on side. Above view. 4k00:29Two tasty peanut butter toasts placed on stone table. Knife on side. Top angle shot with copy space. hd00:38Walnuts in a wooden box. hd00:14Young adult woman cuts bread slices. Close-up interior shot.